Salesforce is a name that is quite popular and famous in the world of cloud software. Being headquartered in California, Salesforce changed the way in which people look at customer relationship management products and they have been a lot of products that are built around the Salesforce ecosystem to integrate flawlessly with the existing system of Salesforce CRM. Claritaz specialises in developing different automation strategies for Salesforce and integrating Salesforce with many other existing products. One of the biggest keys to success and to stay in the front among your competition is to make sure that you focus on the core competency rather than spending time on processes that can be automated. when it comes to even the important revenue mechanisms like sales, streamlined a process can be automated and that can go a long way into acquiring a customer. We specialise in creating Salesforce automation systems that will take care to capture quality leads, nurture them, pass it on to the pre sales and the engineering teams so that they invest only a part of their valuable time in making these leads into elements that create revenue for the company. Our intelligent system of Salesforce automation takes care to manage sales and also grow the revenue while having complete control on the different phases of the customer cycle and the integrity of data. Salesforce has become an essential part of the sales ecosystem for many companies. There are also a lot of elements that govern the different pockets of the organisation. It is a great thing if all these elements can function in tandem with each other so that they share the data and the collective intelligence is far more useful than isolated once. It is for this reason that the need to integrate Salesforce with different Technologies and aspects comes into play. Our expert team will take care to integrate your Salesforce with a lot of Technologies. Integration includes but is not limited to SAP, Oracle JD, Oracle EBS and a few more. 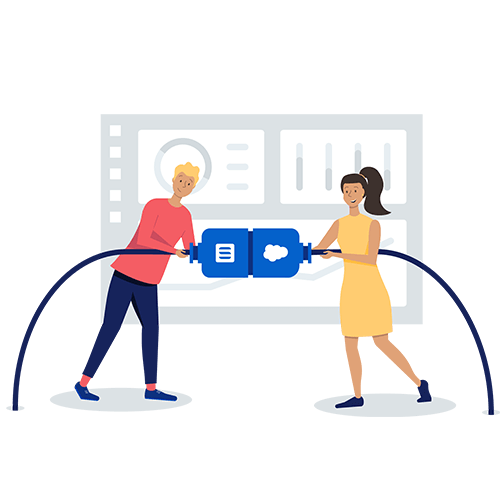 Our capacity to customise the connectors enable a smooth flow of data so that you get the maximum of Salesforce and also the other Technologies that you use. We also integrate Salesforce with enterprise applications like Microsoft, syspro and sharepoint. 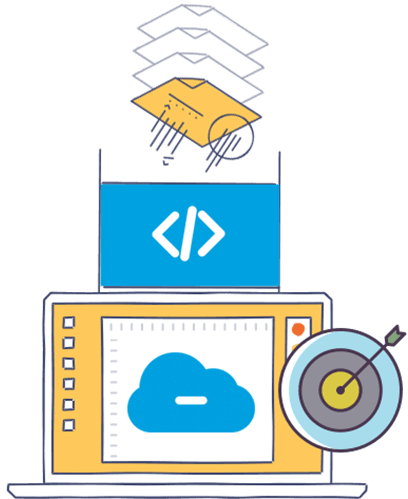 The API integration feature ensures that all the data that you need is collected and curated in a place where it can easily be retrieved. All what it requires is to drop in a line and we will get in touch with you to maximize the awesomeness of your Salesforce. We can take care to automate quite a lot of processes and also integrate many Technologies and applications with Salesforce making it a robust and complete application to manage your sales and revenue. With a technology, master like humans, we believe that the collective advantage is for greater than the sum total of the individual advantages of each technology and tool!